It’s been a hot, dry spring in east Tennessee. Summer’s just begun yet local rivers and reservoirs are unusually clear with temperatures above seasonal averages. Water temperatures higher than eighty-degrees are above the preferred range of many popular game fish but bass, bream and several others offer good fishing in early summer. However, many anglers are still out in force on most reservoirs and high fishing pressure often has a negative effect on fishing success. Too many pleasure boaters have a similar effect. I don’t resent any of them enjoying themselves, but I prefer not to set in line waiting for a fishing spot while I bob and sway in churning boat wakes. Bless their hearts; I hope all of them have the very best time but I excuse myself and spend my time where conditions are more favorable for catching fish. 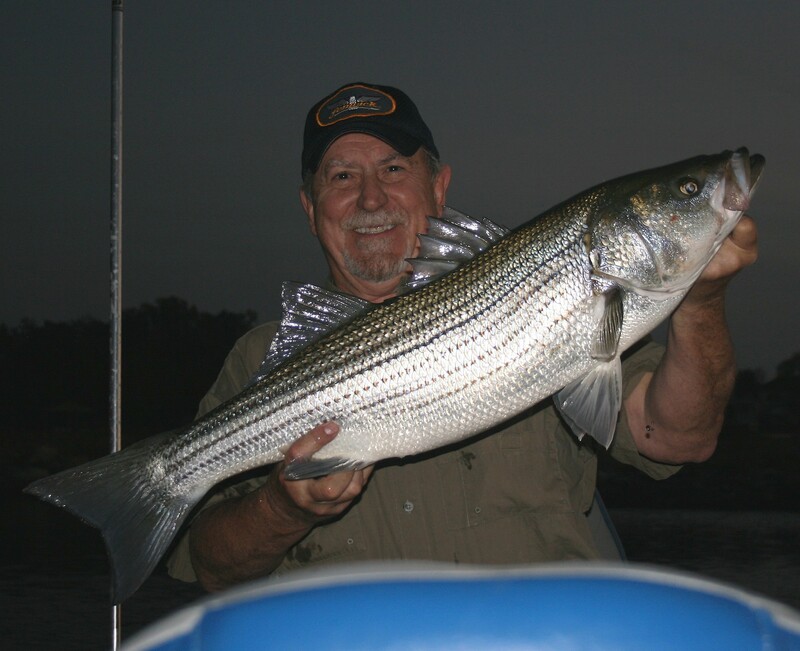 So when my longtime fishing buddy, Rodger Davis, called and told me he was coming from Atlanta to fish through the new moon, I knew I had to find places we could fish with lower water temperatures, fishing pressure and boat traffic. Because he doesn’t visit often and is an accomplished angler, I wanted to take him where we could catch some good fish with a few eye poppers mixed in. 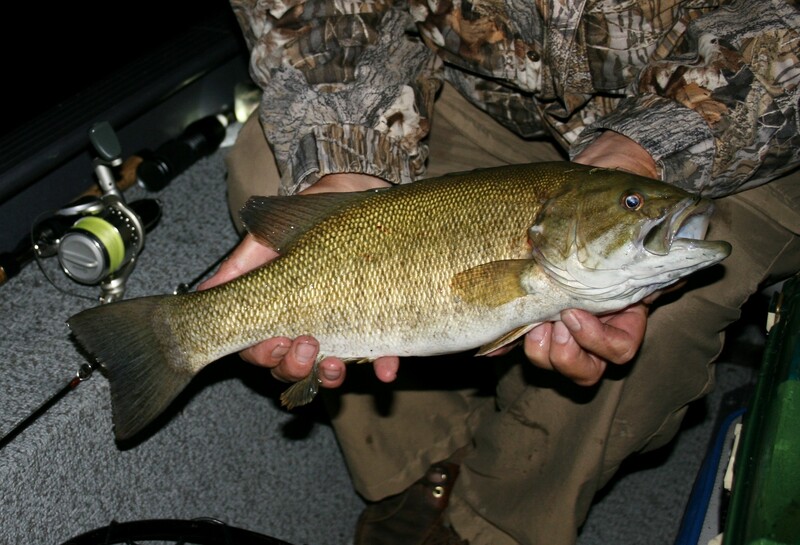 After checking area water generation schedules, I decided we should go see what the local smallmouth bass were up to. The first afternoon we packed our tackle, plenty of bottled water and headed up a local river under overcast skies. It was the only day in the five-day forecast that called for mostly cloudy conditions so I knew it would be our best chance to catch some river smallmouths without suffering heatstroke. The water level was so low we had to walk my jet-drive boat upstream through one shoal, though the flowing current was cool and refreshing in the afternoon heat. Generation from an upstream dam was holding water temperatures in the mid-seventies, an ideal range, but as we continued up river I realized exploding weed growth and shallow, crystal-clear water were going to limit the type lures we could use. Subsurface lures with treble hooks were out of the question in most places so we started with small surface lures. We each tied a Rebel Pop-R on a medium action spinning combo and went to work. I had one good blow-up by an impressive fish but it soon became obvious the smallmouths wouldn’t take surface lures in the bright, clear conditions. We decided to make a change. We needed a realistic, weedless lure we could fish quickly at various depths and through shallow, dense cover so I grabbed a box of soft-plastic stickbaits and began rigging a second rod. My second rod and reel, also a medium-action spinning combo, was spooled with Flame Green, four-pound diameter/ten-pound breaking strength Fireline. To keep the fish from seeing my bright primary line I added five feet of fluorocarbon line in a comparable breaking strength using a double uni-knot. With this combo and rigging, I could cast a mile, see the slightest line movement, and present the lure with an invisible, highly abrasion-resistant line attached. After Rodger rigged a similar combo we moved back upriver and began fishing the same water, this time with much better results. We discovered there were plenty of fish in the scattered grass beds and deeper pockets around rock shelves. Shallow shoals produced nice bass on the upstream face and in spots where the water began to slow downstream. In the low, clear water soft-plastic stickbaits attracted strikes from various sizes of smallmouths to nineteen inches with several weighing between one and three pounds. 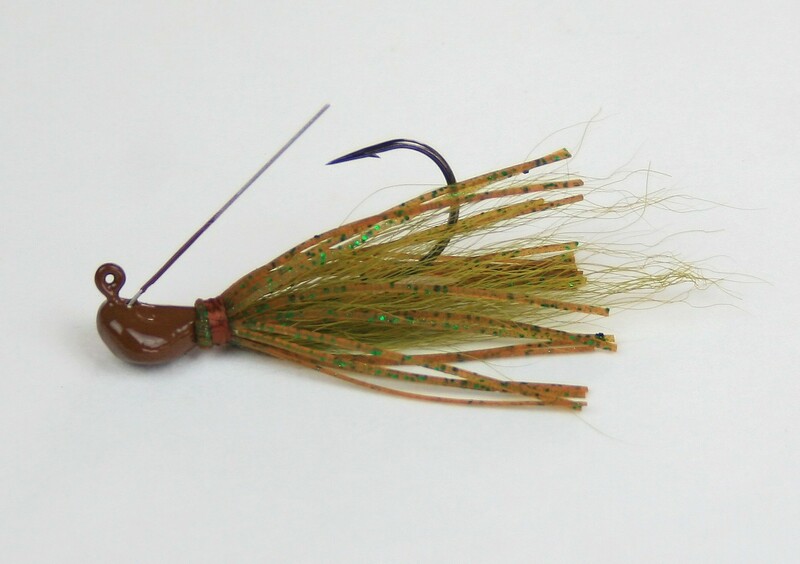 Weedless soft-plastic stickbaits fished in river current offer realistic presentations. Four- and five-inch sticks rigged on weighted wide-gap hooks glide along bottom contours and through weeds with erratic, natural actions. To present these little fish-catchers, make a long cast, twitch the bait, let it drift a couple feet, then twitch it again. Vary the number of twitches and the time you let the lure drift. However, don’t let it drift too far or it may wash under something and hang. It’s best to work soft-plastic stickbaits close to bottom though dragging the lure on bottom is a good way to snag one. Increase the amount of drift time in slower, deeper water and increase the frequency of twitching in swifter water to make the lure run shallower. Keep the little minnow moving with a darting and drifting motion and it will slide through weeds and over rocks with a natural appearance and few snags. 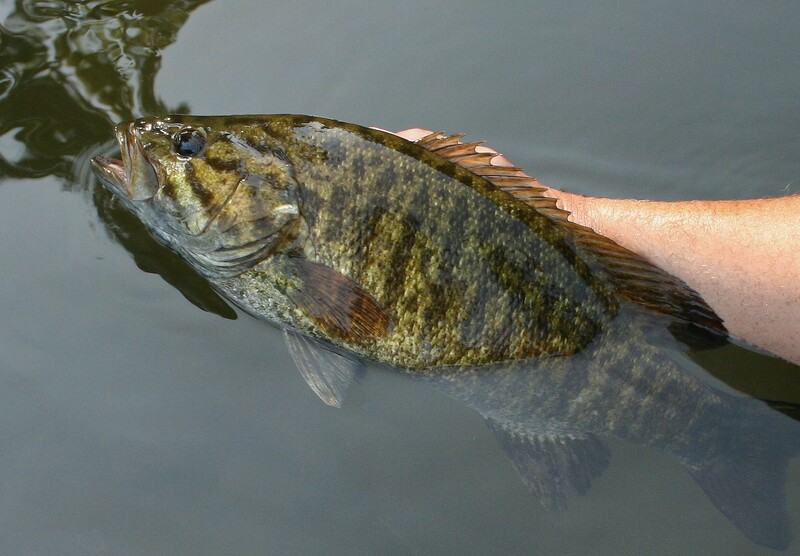 At times, a smallmouth will grab the lure and you’ll feel a distinct tap but it’s more common to see the line jump or begin moving without feeling the fish. If you feel a fish strike, see the line jump, begin to tighten or move to the side, point the rod at the fish, reel until the line begins to tighten and set the hook. If it’s not a bluegill or pip-squeak bass, the rod will bow and you’ll suddenly have your hands full. Late in the day the clouds cleared and it became brutally hot so we moved to a shaded shoreline to take a water break. 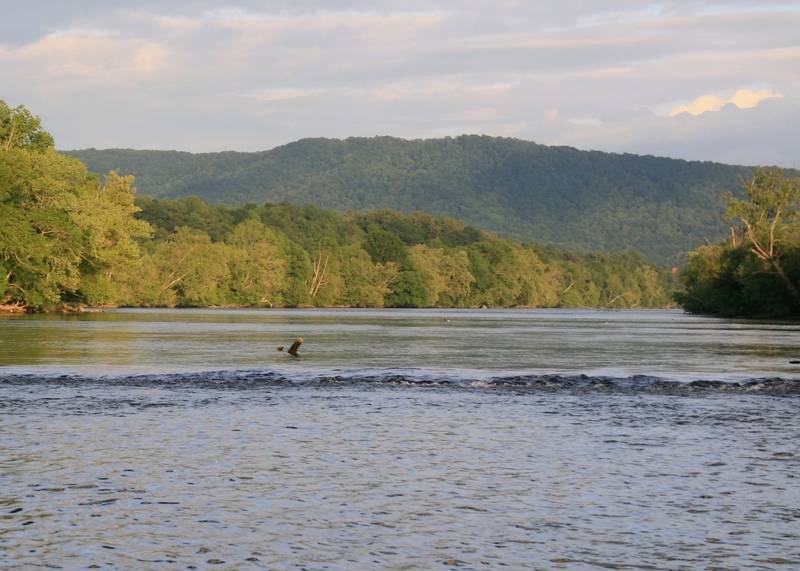 When the sun began to set, we headed back upriver to fish some spots that had produced fish. Stickbaits continued to catch good fish but as the sun touched the horizon and light faded, I had to try my little topwater lure again and found bass eager to strike it in the waning light. I caught several more bass on my Pop-R before darkness settled and we headed for the ramp, though most were smaller fish. On this day, under these conditions, soft-plastic stickbaits were top choices and by choosing the right tackle to present them, we enjoyed a productive afternoon of fishing under some tough conditions. Though the river was low and clear, water temperature was ideal and smallmouths were active and feeding. The heat and low water kept most anglers off the river because we saw only one other boat all afternoon. I’m not sure how many smallmouths we caught by day’s end but I’m certain between fifteen and twenty. With a nineteen-inch, dark-barred beauty topping the list we felt good about our first day on the water. Late the following afternoon we headed for a highland reservoir along the mountainous western edge of Cherokee National Forest to try some night fishing for smallmouth bass. 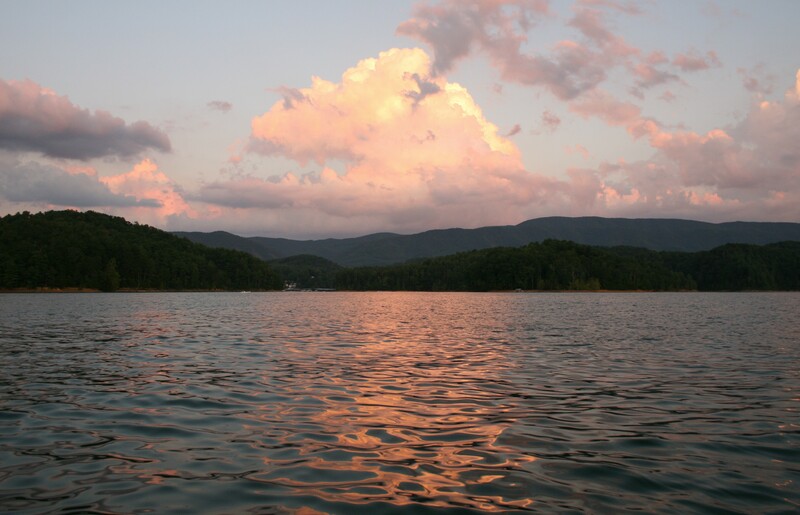 The eastern half of Tennessee is blessed with many highland reservoirs including Dale Hollow, Norris, Watauga, and South Holston and each offers good fishing. 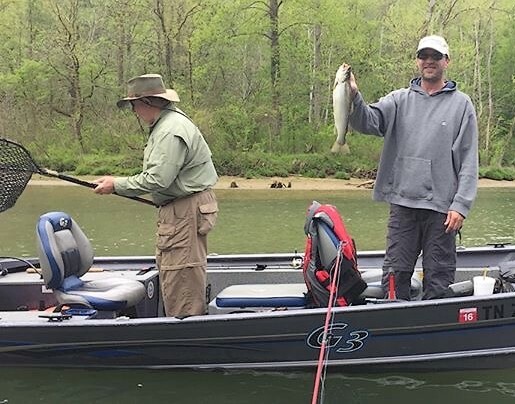 South Holston is closest to home, the most beautiful and has an excellent smallmouth bass population so we repacked the boat and headed for the nearest ramp. We arrived on the dam end of the lake as darkness fell, rigged a pair of blacklights, and eased toward the first in a series of points that had produced tournament winning bass for me. As we idled across open water in depths approaching 250 feet the cool night air felt refreshing, a much more pleasant environment than baking in the heat on a sunny, shallow river. Surface water temperature varied between the mid-seventies and eighty degrees, ideal considering temperatures in many local lowland lakes had already moved well into the eighties. In tackle, we chose the same spinning combos spooled with thin, bright-yellow line that we’d used for stickbaits on the river, but changed lures to tiny 1/8-ounce jigs with plastic trailers. With thin line and light jigs, we could thoroughly explore the bottom down to twenty-five- or thirty-feet. Time to set back, relax, enjoy the beautiful night sky and slowly crawl a jig. 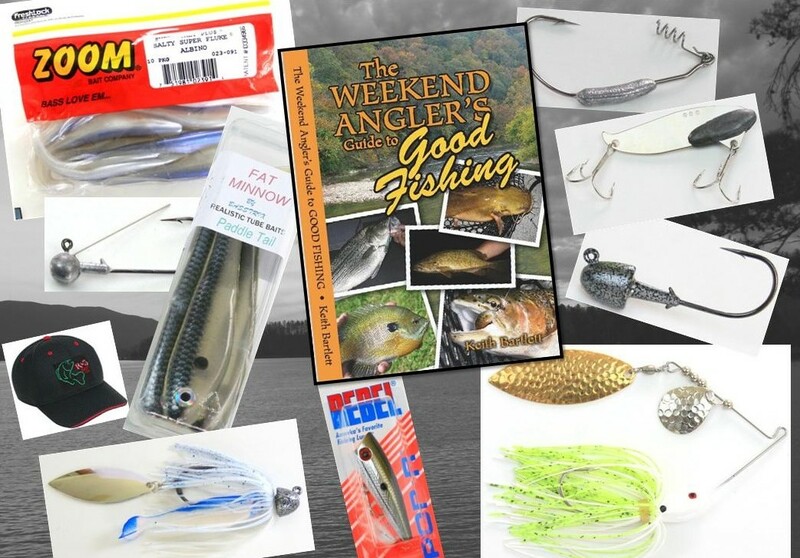 Slowly crawling a tiny jig across bottom may sound boring to those used to fishing faster moving lures but set your mind to focus on what the jig’s telling you and it’ll hold your attention like a vice. With four-pound diameter braided line and a jig that weighs little more than an eighth ounce the lure will float along bottom, climb everything in its path and telegraph a steady stream of information about the lake bottom. Occasionally a jig will hang and be lost so it’s wise to bring a few extras; however, match the right line diameter with the weight of the lure and the system is surprising weedless. You’ll feel the jig strike and crawl over a rock, the bottom change from mud to gravel, and weightlessness as the lure falls down a steep incline. Line watching is equally important because you can learn to read water depth based on the time it takes the lure to hit bottom after a cast and when it falls along drop-offs. Water depth is an important detail to track because most fish will feed at a particular depth during the night and the key to success is finding and fishing that depth. If that isn’t enough to keep your mind busy, occasionally a nice bass will come along and attack your lure. 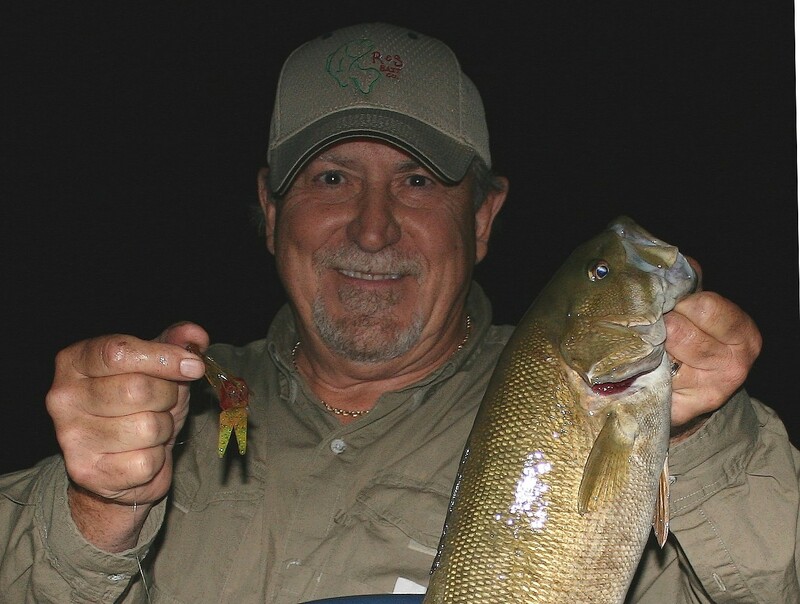 Many times when a smallmouth bass strikes a jig, you’ll feel a distinct tap through the rod and the line will jump, though it’s equally common to see the line twitch without feeling anything. Then of course there are the sneaky ones, often larger fish, which simply pick up the jig and start swimming away. If you let your mind drift, you’ll suddenly notice your line has started moving to the side, or is mysteriously under the boat. After that happens a time or two you won’t be able to close your eyes for hours. So there’s nothing boring about this method of fishing. 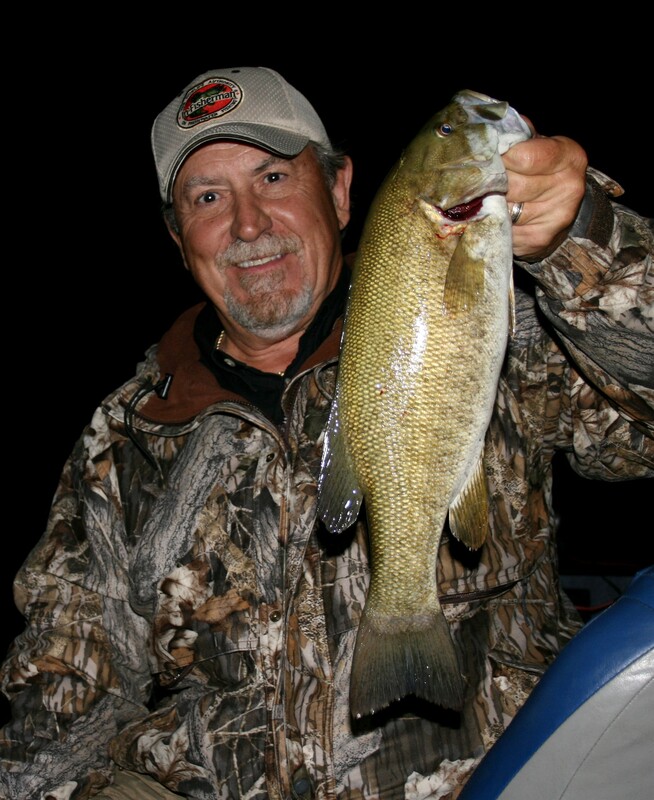 Learn to do it well and you’ll be hooked and so will some nice smallmouth bass. In the first hour or so, we couldn’t buy a strike though we fished some of my most reliable spots. But soon baitfish started coming up, flipping along the surface over shallow points and along shorelines. Then I started hearing walleyes popping along shore, feeding on the baitfish. 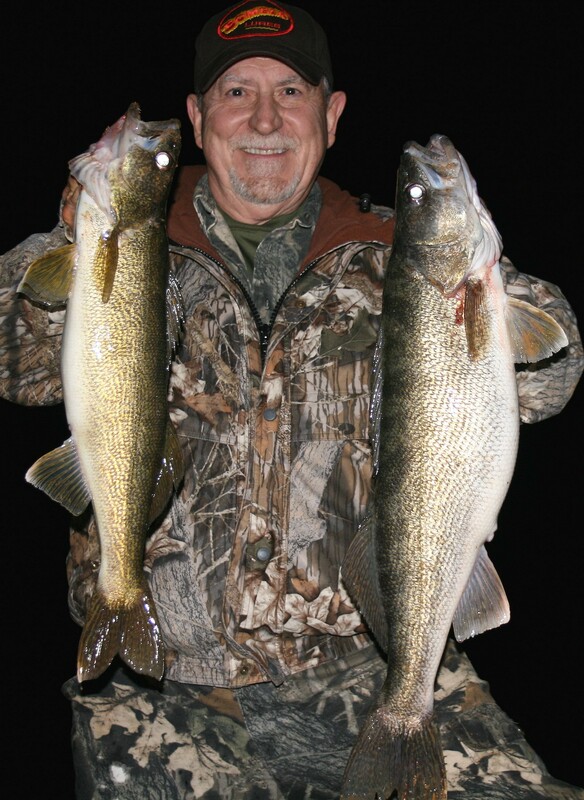 One point was so full of walleyes we changed tackle and lures and started casting to them. 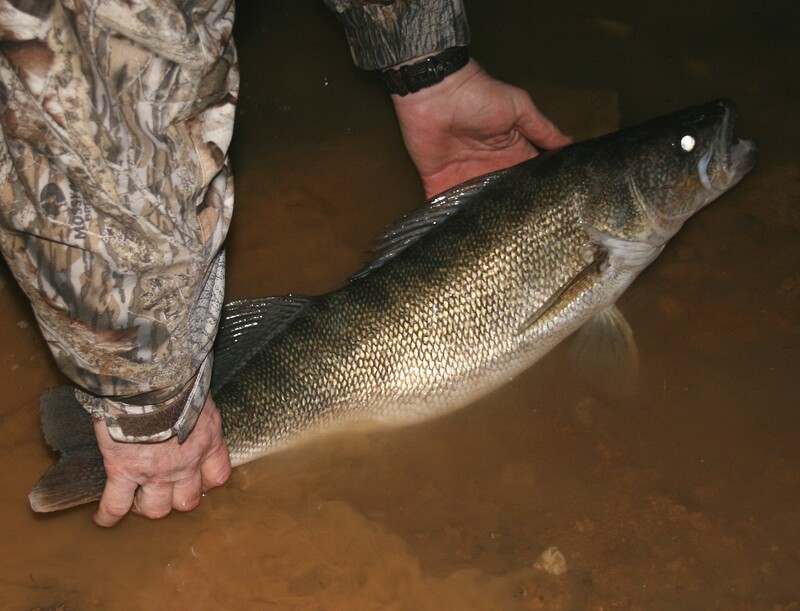 But that’s another story; we’ll talk about walleyes in highland reservoirs another time. After we fished my favorite series of points with little success on bass we decided to move, give the area a rest, and try another place. I was confident the bass would move shallow and feed soon because baitfish were now up and plentiful. On the next series of points, some nice smallmouths were also up and feeding. After the action began we caught bass on most points we fished, including some we had worked earlier with no success. Action remained steady the rest of the night with some nice smallmouths coming to the net. We were so busy and had such a good time we didn’t notice when the sky starting to lighten, but as I unhooked a good bass I looked up and saw the eastern sky glowing. We were shocked; we’d been there all night without checking the time once. The following two nights we returned to the same creek arm on the lower end of South Holston Lake. We didn’t catch any of the giant smallmouths this lake has a reputation of producing but we caught many nice bass and our time on the water was packed with excitement. With few exceptions, the fish fought like cornered tigers displaying frequent airborne bursts and drag-screaming runs. I vividly remember one three-pound bully who tried to eat the trolling motor prop. I’m still not sure how I got the fish untangled but I distinctly remember collapsing in my seat, hands trembling, when Rodger laid the net full of struggling bass at my feet. 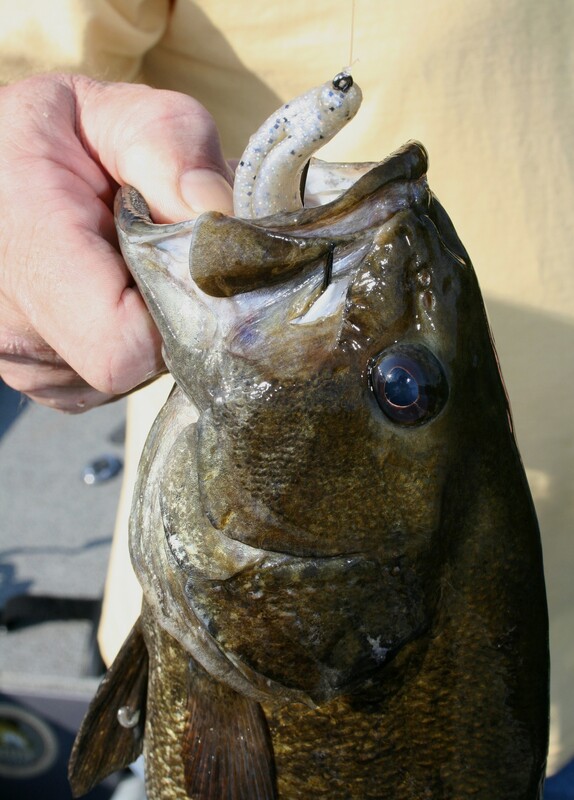 And it wasn’t an isolated incident because several smallmouths shocked us by fighting like much larger fish. Then there was the double we caught on the last point we fished on our last night. We were talking some smack as we stood in the dim blue light with bowed rods. If you’ve never night fished with jigs and florescent line under a black light, it’s an otherworldly kind of experience. The dim light illuminates shorelines and overhanging trees just enough to help navigate as you quietly ease about. But the glowing florescent lines look like one-inch well rope, making it easy to watch your partner’s line out the corner of your eye. So when either angler sees line movement or feels something unusual, the response often becomes a shared process. The angler who thinks he had a strike begins a commentary that not only describes what he’s feeling and seeing, but begs for confirmation from the supporting audience. Though the dialogue may be brief, it’s oftentimes punctuated with laughter and an exciting ending. So night fishing with black lights is an entertaining as well as productive way to catch fish. 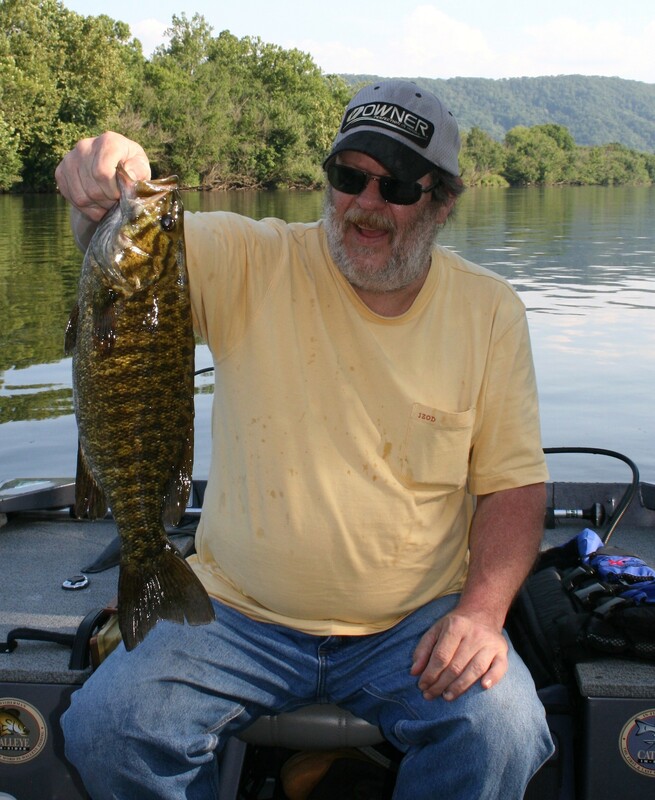 About half the smallmouths we caught weighed from one-half to two pounds with several pushing or exceeding three. We didn’t weigh any of the bass we caught because we wanted to release them quickly in the warm water, but our largest measured from seventeen-and-a-half to more than nineteen inches. Most were caught in depths between fifteen and twenty-five feet with a few striking in shallower water. And under stable weather, the bass moved up and started hitting around the same time each night. We saw few other boats in three nights so we had the lake to ourselves and our choice of places to fish. Not a bad way to spend time during an early summer heat wave and drought. If you’d like to learn more about fishing for smallmouth bass in rivers and reservoirs, pick up a copy of my book and refer to the chapter on summer fishing. 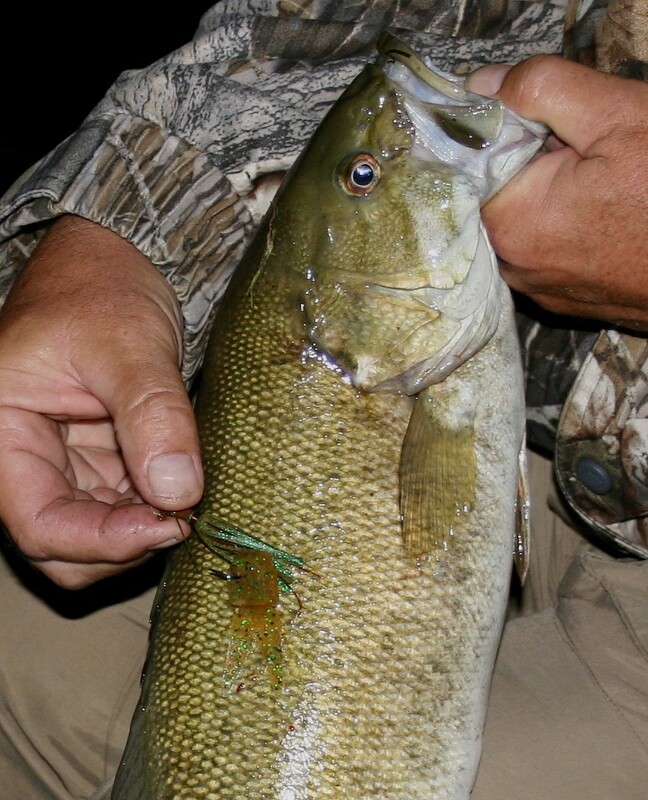 You’ll find plenty of useful information that will help you catch these great game fish in waters close to you including tips on finding fish, night fishing safety, choosing tackle, smallmouth color preferences and more. Be safe and great fishing!